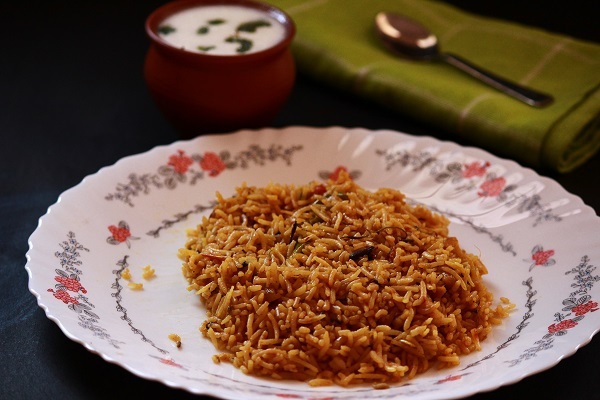 Kuska biryani – is nothing but plain biryani without vegetables cooked with masala and spices. 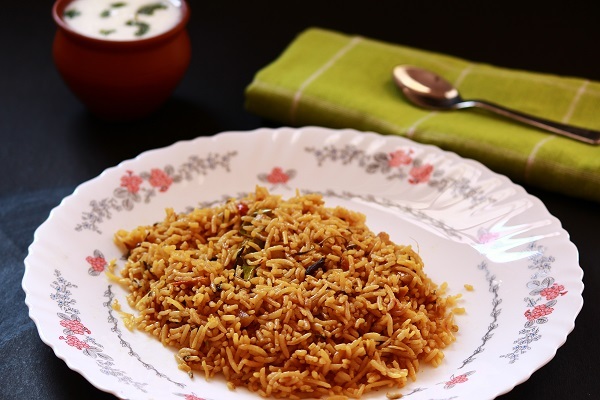 This is an easy to make biryani as there is no need to chop vegetables, and the rice is cooked in coconut milk which gives it a wonderful flavor. I usually make this biryani when I am running short of time or when I don’t have enough vegetables to prepare vegetable biryani. 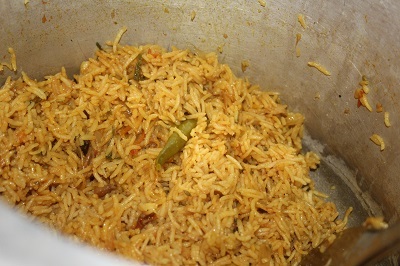 You can also make use of store bought coconut milk for making this biryani. 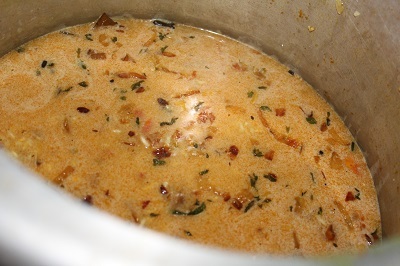 The method of preparation is very easy if you have readymade coconut milk available, but I always make use of fresh coconut milk as I like the fresh flavor of milk. Here I have made use of water + coconut milk, but you can also make use of water + milk. Serve it with raita, I have served it with mint raita. Will share the recipe very soon. Now to the recipe..
1. Wash rice well, twice or thrice in water. Soak for 20 – 30 minutes. Drain the water and keep it aside. 2. 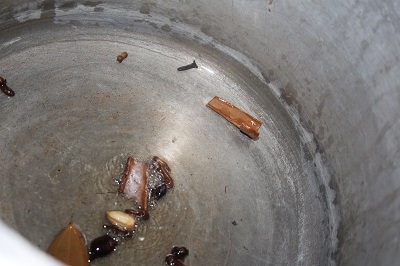 In a pressure cooker, add the whole spices and roast for a few seconds. Next add fennel seeds and saute again. 3. 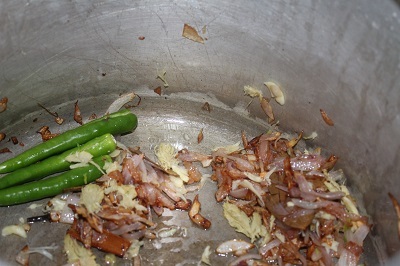 Then add sliced onion and saute till it becomes transparent. 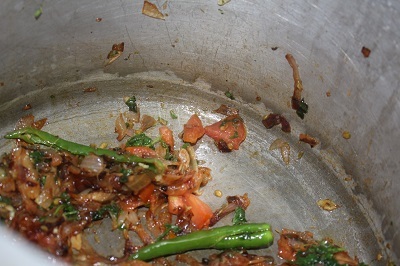 Then add slit green chilly, ginger garlic paste and saute till the raw smell goes off. 4. Add chopped tomato and saute till it turns mushy. Then add coriander powder, red chilly powder, turmeric powder and saute again for few more seconds. 5. 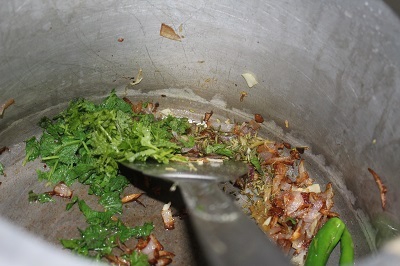 Then add chopped mint leaves, coriander leaves and saute again. Then add curd, mix well. 6. 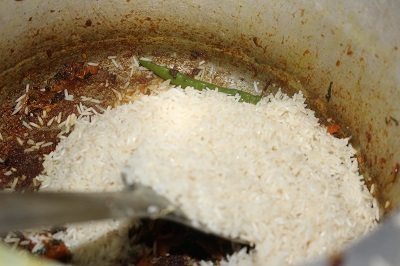 Add soaked and drained rice, and saute for few seconds. Then add coconut milk mixture. Add salt. 7. Cover the pressure cooker, put the whistle, and cook on low flame for 10 minutes. Turn off the stove and wait for the pressure to subside. 8. 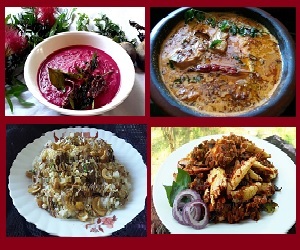 Open the pressure cooker, fluff the rice with a fork and serve hot with raita.